El Tour de Tucson is bringing in a new route for 2018, which means new road closures. Click here for a full map of the tour. For the 36th edition of El Tour, there are expected to be around 7,000 cyclists and 2,000 volunteers helping to keep them and drivers on the road safe. 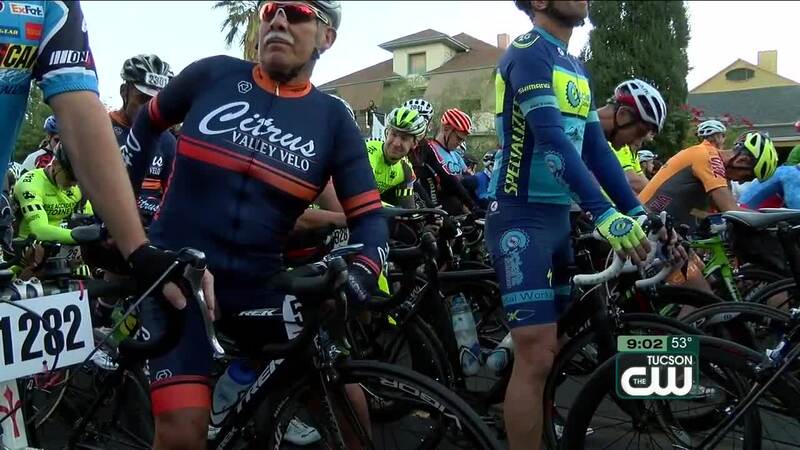 Route director for El Tour, Tim Escobedo, says the change in route is attributed to cutting down costs for police, barricades and Oro Valley no longer wanting to take part. "Every day I've been riding the route to make sure that all the potholes that everybody is responsible for because not only our staff but all the municipalities, the county, the state, town of Marana, Oro Valley, all of them have participated to make sure this is a safe ride." One of the big additions to this year's route is the addition of Sabino Canyon. That's where the 50 mile race will begin. Below is a list of road closures and times for Saturday, 17. Ina and Oracle will have long traffic delays with traffic control in place at the intersection. Frequent delays from 9:30am through 11am. Less frequent through 1:30pm.